Happy New Year to everyone. It is great to see what everyone has been doing over the holiday season. I had a quiet NYE but went to the cricket on Friday night. 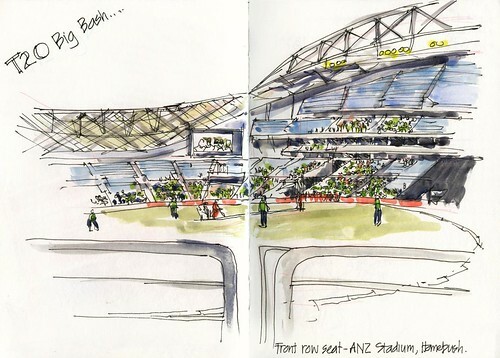 Was really fun to be sketching at a big event like this...rushing so as not to miss anything in the excited T20 match (unlike a test match where I could take all day to sketch) Next time I want to see higher up so I get a better overall view ...but it was fun sitting on the fence. 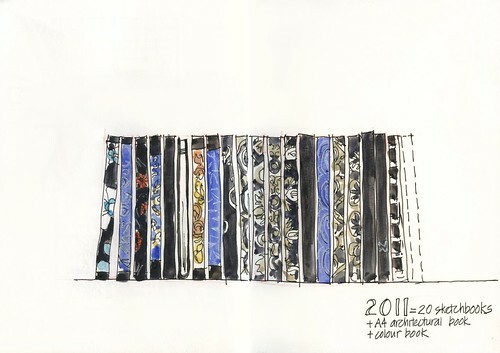 To end the year, I was at home looking through my sketches for 2011... quite a collection and I needed more time than one evening to look through them all. I hope that everyone has a wonderful 2012!